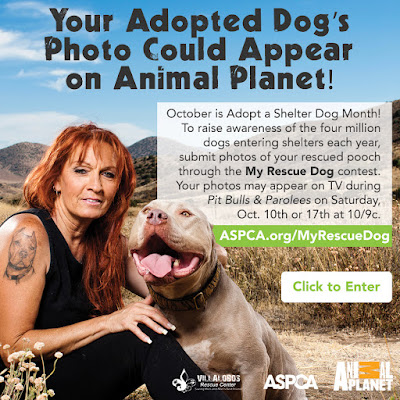 Help Celebrate Shelter Dogs With The ASPCA And Animal Planet! 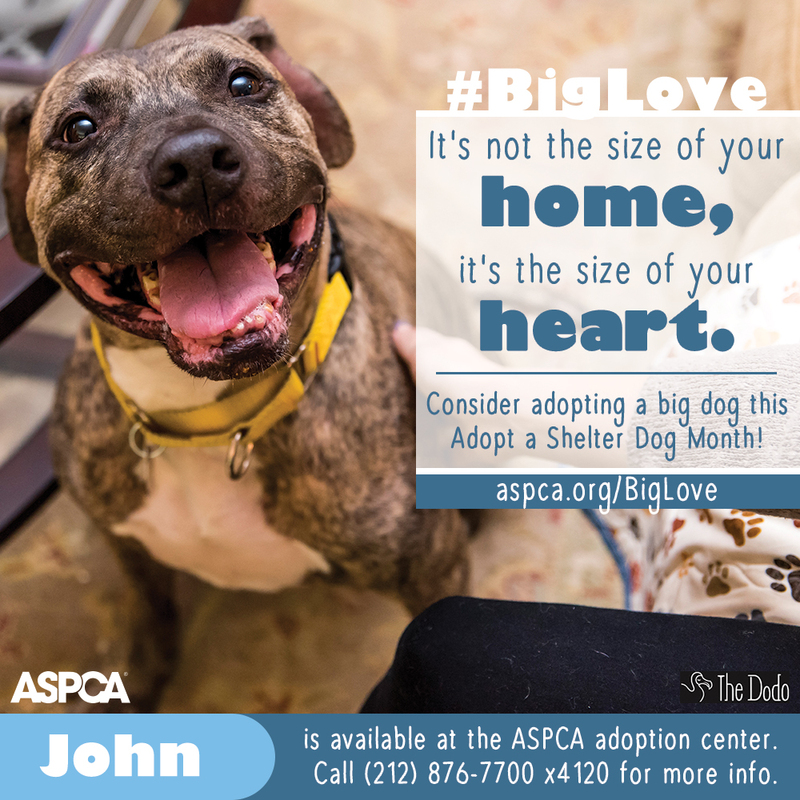 Since October is Adopt A Shelter Dog Month, this is your chance to help dogs in shelters all across the country find their forever homes. Unfortunately, there are approximately four million dogs entering shelters each year in the United States alone, and so many of those four million never find loving homes. 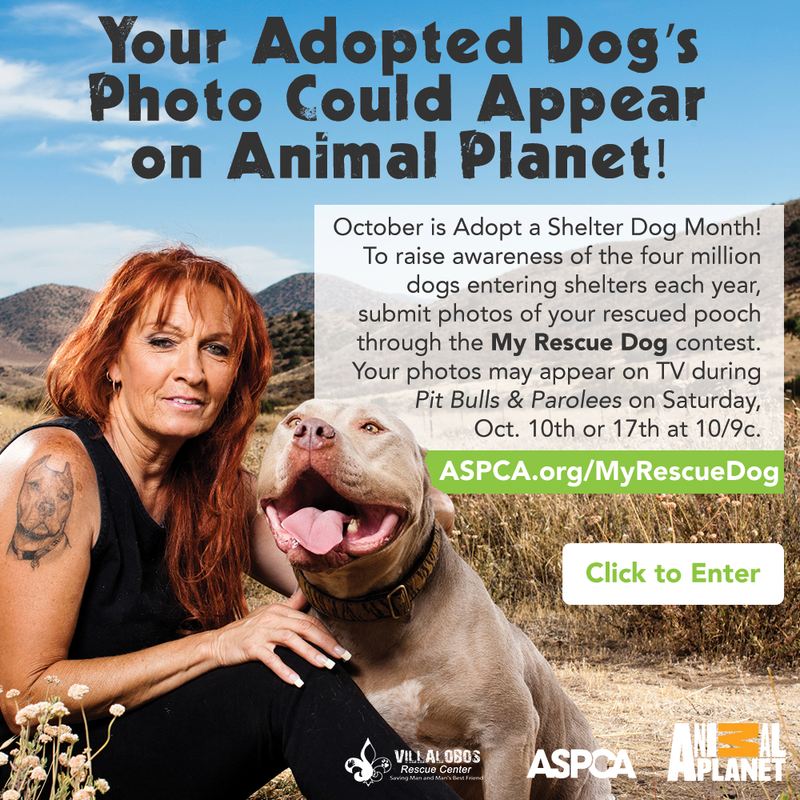 Enter the ASPCA and the good folks at Animal Planet to help draw attention to all of these beautiful, but homeless dogs with a prize-filled social media contest—and you and your beautiful adopted dog have a chance to win big! 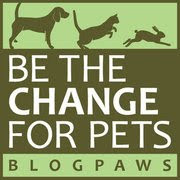 Just sign up here to take the pledge to "Make Pet Adoption Your Only Option" and upload a photo of your rescued dog. Yours could be one of three favorite photos selected to receive a special ASPCA and Animal Planet prize pack. Plus, all entries submitted before Friday, October 16th (Hurry!) may be eligible to appear on a new episode of Pit Bulls & Parolees on Animal Planet Saturday, October 10th or 17th at 10/9c! Don't forget to share your rescue dog's photo on all of your social media channels using the hashtag #MyRescueDog and tagging @aspca and @animalplanet. 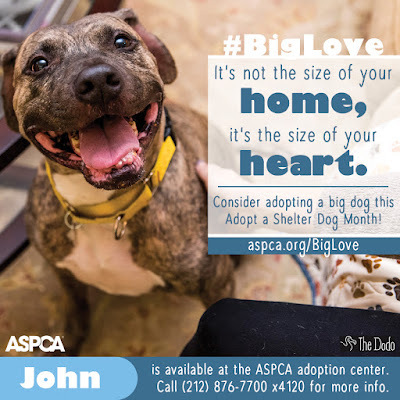 Because large dogs are more frequently overlooked in shelters, the ASPCA is urging everyone looking to add a new four-legged family member to consider adopting a larger dog because "It's not the size of your home but the size of your heart that matters." Can you say #BigLove? We've already entered, and we're excited to see your photos! Please share your favorite photo of your rescue dog with us, too, on our Facebook page. 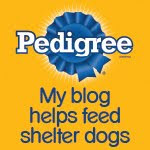 As always, thanks for all you do to help shelter pets. You and Tigger look very comfy together, Bocci! Oh, I LOVE my Tigger...and so does Parental Unit. Tigger was her favorite!